It's a Girl! 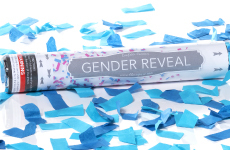 Confetti cannons add excitement to any party, but are especially fun for gender reveal parties! 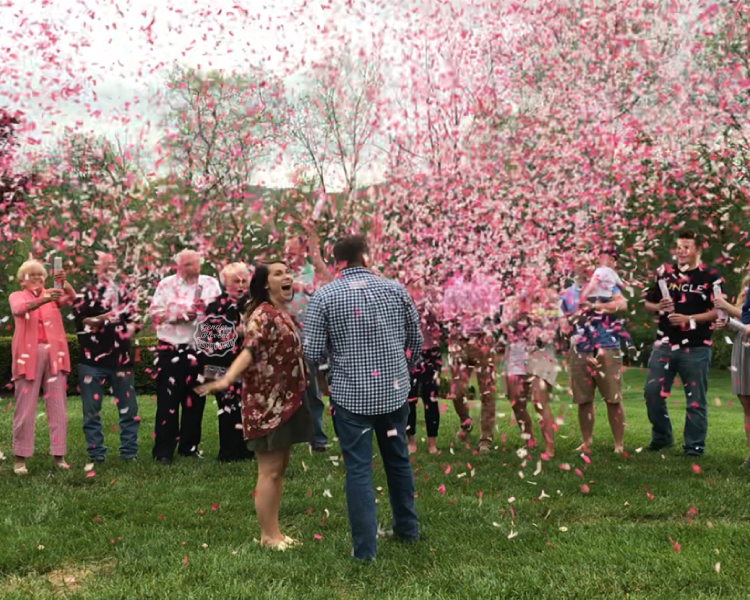 Depending on the color of cannon you choose, your guests will see a colorful shower of pink or blue confetti when you're ready to reveal your baby's gender. This is an exciting way to share the news with your friends and family! 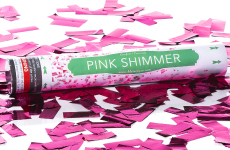 Our pink confetti cannons are generically marked so guests cannot see the color of confetti before the big reveal. 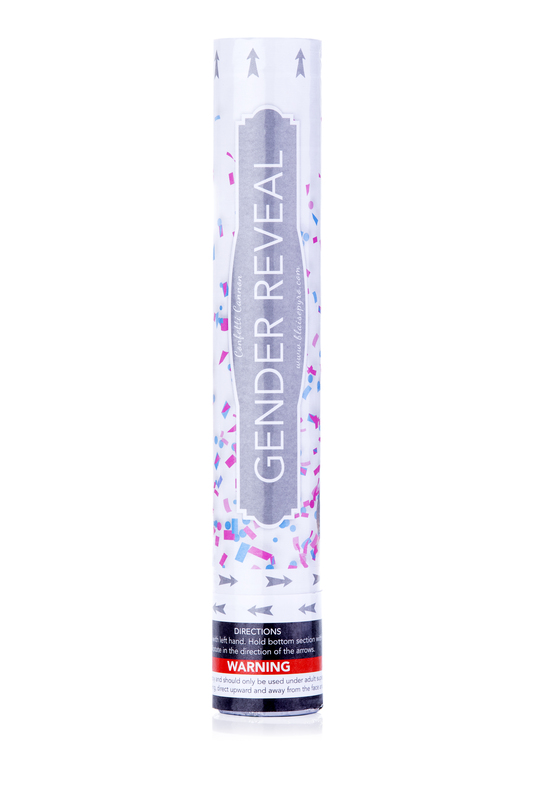 Gender reveal cakes can make it difficult for all your guests to all see the "surprise" at once. 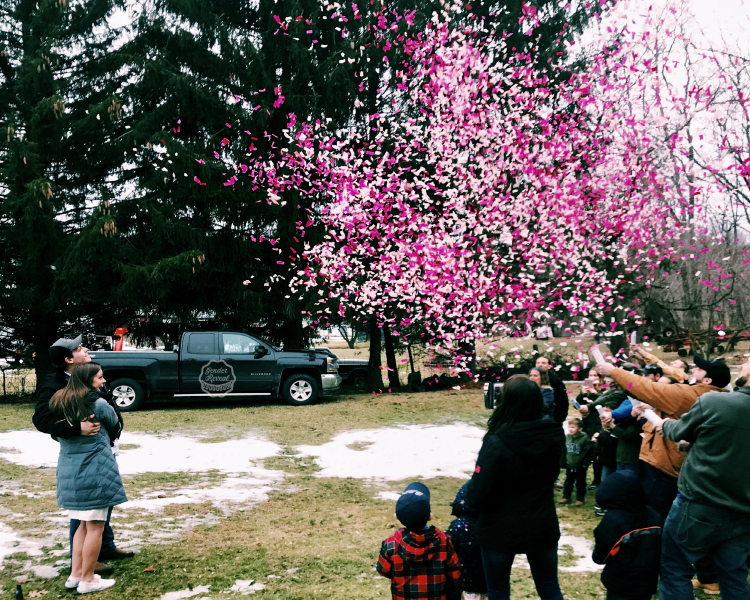 Our confetti cannons are the perfect solution for any gender reveal party as they are highly visible and a fun way to announce your baby news to family and friends! 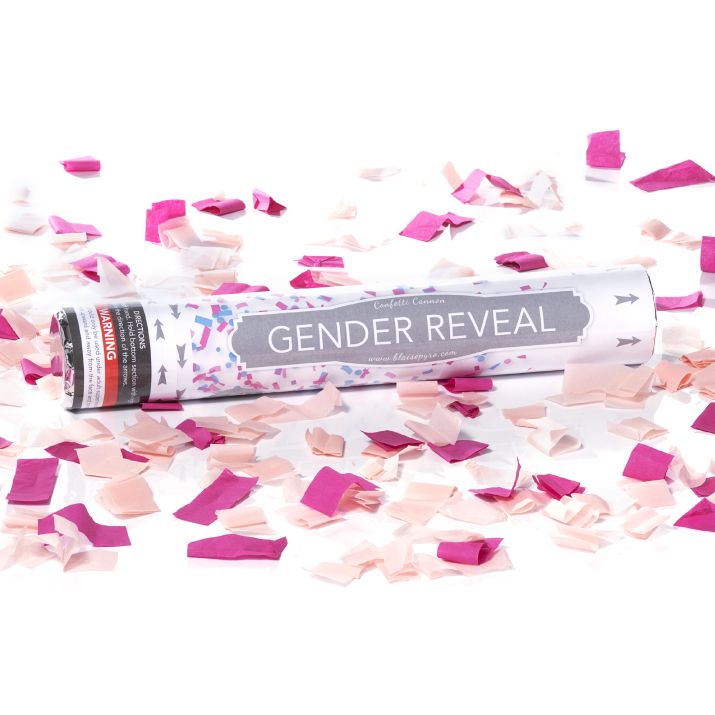 Our pink confetti gender reveal poppers are easy to use and they shoot biodegradable confetti up to 15 feet in the air. A cloud of pink tissue paper fills the air when they are popped. The 12-inch canisters are easy to use. They’re only 2 inches in diameter and can be held with one hand while you use the other hand to simply twist the bottom. For safety and best results, be sure and aim straight up when popping them. The confetti cannons are made with compressed air and have no combustible materials. They can be used indoors or outside and are completely smoke-free. 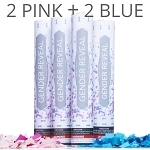 Make your gender reveal party the one they talk about for months with these festive and exciting party accessories!